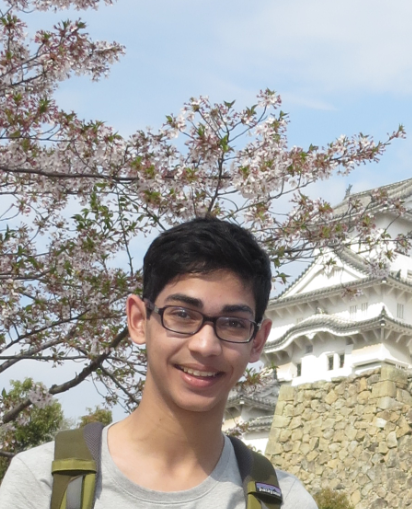 Senior Logan Bhamidipaty was recently awarded a scholarship from the U.S. Department of State’s National Security Language Initiative for Youth (NSLI-Y), which funds a full academic year abroad for students studying languages judged as important by the State Department. Following graduation, Bhamidipaty plans to take a gap year to study Mandarin in Beijing before matriculating to Stanford. Bhamidipaty also was recognized last month with a Congressional Award for his volunteer work with the San Francisco-Marin Food Bank, and as an immigration intern with Catholic Charities USA. He also was honored for his devotion to becoming fluent in Mandarin, and for studying the history and culture of Japan’s Kansai region during the country’s Edo period. Bhamidipaty is scheduled to travel to Washington, D.C., in June for a special ceremony attended by awardees and members of the U.S. Congress.